-- When Marsha Calloway's daughter is accused of a crime she didn't commit, Marsha is determined to find the real culprit. 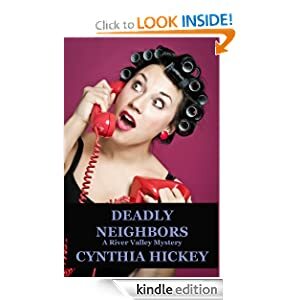 She enlists the help of her Cadillac driving mama, the man who ditched Marsha at her high-school graduation but kept her heart, and a bumbling police officer. Folks around River Valley are having things disappear while they are sleeping with their eyes open. Seems everyone has a dream and not enough funds. Someone is determined to kill for that dream. Will River Valley's cast of colorful characters live to see another day? Can Marsha find out who the thief is before she becomes one of the sleep walkers?